Upcoming Red Devils events. If you would like to organize a fund-raising event to benefit Maryland breast cancer families, please contact us by phone at 410.323.0135 or email at events@the-red-devils.org. Join us for our 5th annual kick-off to Mother’s Day! We’re looking forward to welcoming you back for an unforgettable afternoon. From the moment our Shoe Guys greet you with a glass of bubbly, through the exhilarating fashion show, and all the excitement in between, we promise you one of the best times of your life. 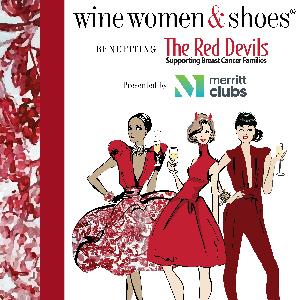 Visit The Red Devils Wine Women & Shoes site for a taste of what awaits. DRINK BOURBON FOR A GREAT CAUSE! 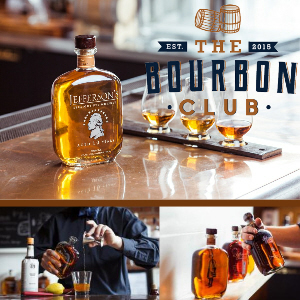 The Bourbon Club will be offering 3 (1/2oz.) tasting pours of Jefferson’s Whiskey to benefit The Red Devils, a non-profit organization whose sole purpose is to fund support services that improve the quality of life for breast cancer patients and their families! Tasting starts at 6:30pm. Arrive early to meet members of your community.